Define the mission of Sons of Ra. Erik: The original impetus of the group was based around experimentation and improvisation. We started off as a group of instrumentalists improvising over a set of beats and synthesizer sequences. At the time, a roommate of mine who was was an electronic music producer couldn’t find a band to fill a last minute cancellation for a slot on a show he booked. He proposed an idea of me finding an ensemble of musicians who would be willing to experiment and improvise over his tracks, rehearsing the material in a week’s time. His background was heavily in synthpop. The rest of us came in with different references, but mostly approached the material more open-mindedly, without the notion of being “sidemen” playing within specific genre, but moreso with jazz-based and progressive rock sensibilities. As we evolved from the lineup of the first show, we held on to the ideas of improvisation, experimenting with form, modal exploration and fusion – in the sense of mixing elements from other genres outside of jazz as our core, now with incorporating these aspects into our own original compositions. The other main tenet of the band is that we operate as an ensemble. It’s not one person’s band. All three of us have an equal footing and work in the service of the composition. That said we don’t operate in a typical context of a jazz fusion or instrumental rock trio where there guitar would carry the lead for an entire tune. Solo and accompaniment roles are dispersed between the three of us and are equally important roles. Drums and Bass don’t just support or play time with an occasional solo break mid-set. We also try to think beyond the native sonic timbres of our native instruments, so we rely on a good amount of technology with effects processing to create the sounds you hear. Tell me about the creative process that informed your album Anthropology. Erik: We really just wanted to have a document of where we were at the time with our original work. Three of the pieces on the album, “A Minor”, “Intrepidation”, and “Xenoglossia” are actually some of the very first things Keith and I had wrote when we started playing together 17 years ago. We reworked and extended the pieces substantially when Marc joined the group. I had spent a bit of time doing a couple of more metal and prog-oriented projects before reforming, so that influenced some of the direction with the material. The newer material, “AntiFragile” is a piece I was kicking around for a few years and brought to the band, more in the prog-metal vein. “Persona Non Grata” was written in a purely collaborative manner. We all contributed equally, and it’s the first piece where Marc really filled in a role as architecting the dynamics and rhythmic flows of the composition. That one really brings out the jazz-fusion side of us. How did you document the music while it was being formulated? How much of the album is the product of improvisation? Erik: We used a combination of rehearsal recordings and writing charts to map out sections. There is a set structure to each of the compositions, but we operate with more of a collective understanding that the structure is like a lead sheet. For the improvisational areas we worked through visual and musical cues to keep us on track. Erik: Yes, absolutely! That’s something we are really conscientious of with the writing process. Keith has a really keen sense of arrangement with what we’re writing, and the dynamics of the material are deliberate and intentional. Erik: We wanted to really get inside of the material with the recording process, so we opted to record the EP ourselves this time. There was a bit of experimentation involved with getting the sounds to the best of our abilities. Everything was tracked individually instead of full-band live takes to give us the most flexibility. The older tunes were the easiest to do, and tracking went fairly quickly. There is a bit of an irony with the way the recording worked out. We wanted to also capture the live feel of the band, and people generally assume we tracked the album live, but we were also working with some equipment limitations and had to do overdubs. “A Minor” and “Intrepidation” are pretty close to how we play them live. On “Xenoglossia” we wanted to really emphasize the sort of a 70′s straight-ahead jazz-funk/rock vibe. We worked with getting more of a feel ala The Headhunters, “Stratus” from Billy Cobham’s Spectrum or “Snake Oil” from Tony Williams’ Lifetime. For “AntiFragile” and “Persona Non Grata” we took a bit of a departure from the earlier tunes. I was still writing the melodies during tracking for AntiFragile so that one took a bit longer to complete. I spent a bit longer with that as well, as there were a good number of harmonies within the different section I wanted to get with the guitars. “Persona Non Grata” went through a number of writing revisions right before tracking, there are three distinct sections within the composition that we recorded as separate pieces, and we wanted to have all of those tracked to a click. After a night of much coffee drinking I was able to edit the three sessions together prior to sending them to mixing to give it the continuity we have performing it live. Mixing and mastering duties were handled outside the band by a good friend of mine, Chris DeQuick at Atlas Studios. Since we don’t have one main lead voice in the band, we wanted to have an objective ear for helping balance things. Some of what came out of the process set the precedents for how we are writing and arranging our follow up material now, such as using a click, structuring sections we may use for improvisation. How long “Anthropology” was in the making? Erik: We started tracking in late August, and wrapped up in November of 2016. We released the EP on December 18. 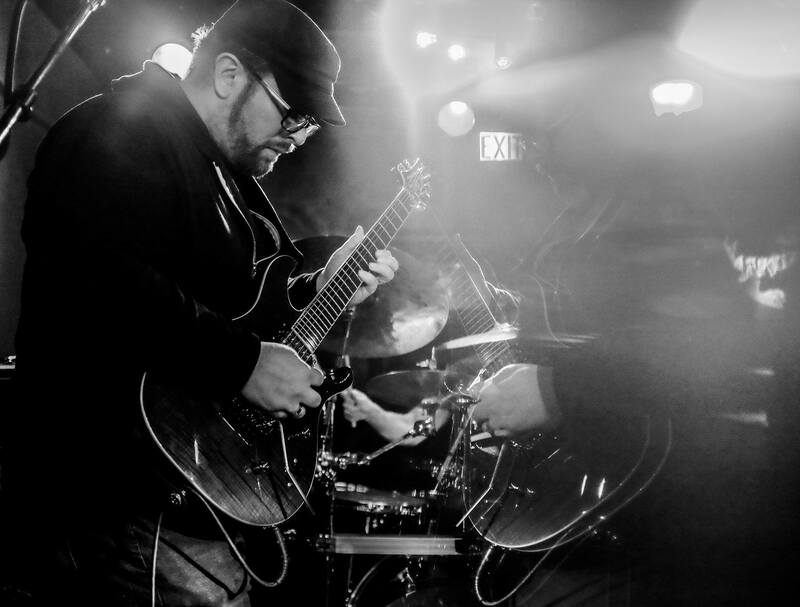 Erik: From a guitar standpoint, the influences that informed my writing process are all-over the place, a good amount of classic prog and fusion; particularly Mahavishnu Orchestra, King Crimson, UK, Zappa, Bill Connors-era RTF; and a bit of Wes Montgomery. The heavier aspects were influenced by more of my older influences with progressive metal – particularly Atheist, Voivod, Cynic, guitarist Ron Jarzombek of Blotted Science/Watchtower fame. The older material has a bit of an old death metal/grindcore reference that goes back to bands like Obituary, Morbid Angel, and Napalm Death. I was also listening to quite a bit of Television’s Marquee Moon and Sonic Youth’s Daydream Nation at the time. One of the tracks, “Intrepidation,” has a latin jazz foundation that was inspired by a Puerto Rican percussion player I studied with in college. He introduced me to the Afro-Cuban sound with artists like Chucho Valdes & Irakere, Mongo Santamaria, and Tito Puente. Erik: It’s a tool to help create. Since we are a trio, we rely on it quite a bit when we want to help fill up our sound or manipulate the perceptions of the sounds we are making. Erik: For me creating music is therapeutic and gives me a sense of catharsis. If other people can get the same or any kind of a positive experience from it, I would say that would be a successful byproduct. Erik: We’re currently working on getting out around the Midwest for shows in the spring and summer. We’ve just been confirmed for Progtoberfest III at Reggie’s in Chicago this fall. We’re also writing more material for our first full-length release. Since this lineup has really gelled we are experimenting with a few other genres along with getting deeper into the fusion side of things. 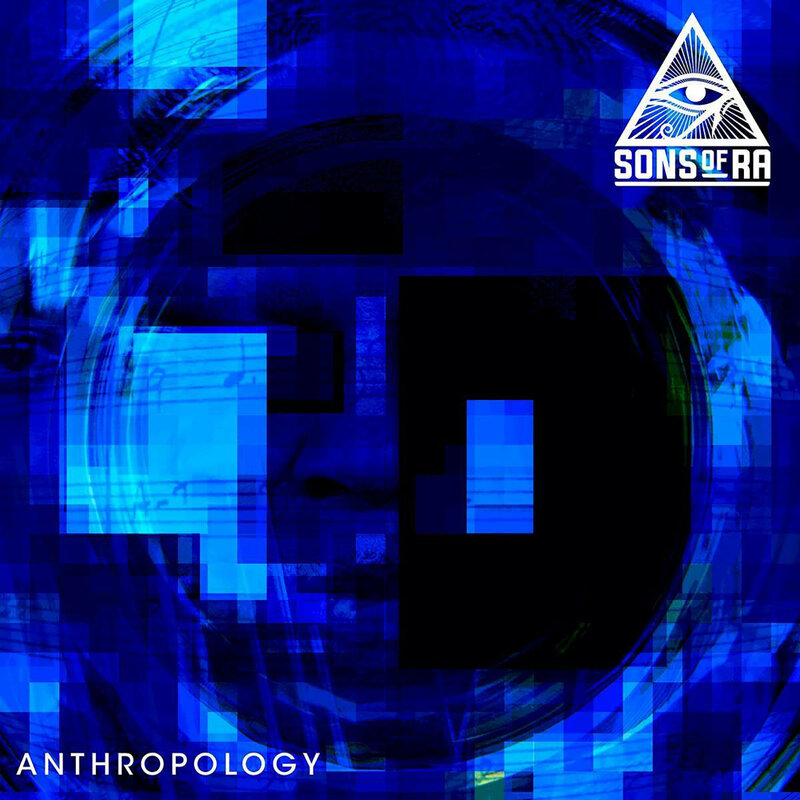 Sons of Ra’s recording debut, Anthropology EP, is out now and is available from Bandcamp. Follow the band on Facebook. Download Progotronics I compilation from Bandcamp.